BROOKLYN - A kosher food pantry provided warm holiday meals to needy residents in the borough. The executive director of the Masbia Kitchen in Midwood says its dining room is set up like a restaurant so people can eat with dignity feeling like customers, not charity. 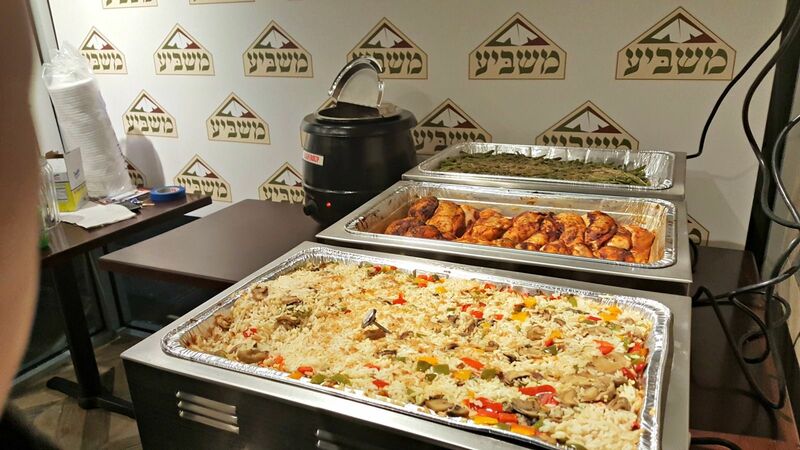 Masbia says it is one of the only kosher soup kitchens in the city, with two locations on Brooklyn and one in Queens. The executive director says they work five days a week year round serving up warm, healthy, balanced and kosher meals for everyone, not just the Jewish community. It says it is not a religious organization, but a hunger relief organization, and that it is expecting many people looking for a warm Christmas meal to step in and be welcomed by their volunteers and staff. Masbia staff say regardless of where you are from or what you believe, you are welcome. It says that the three locations serve around 2,000 meals a week. It also provides food packages for people in need to take home. Each package has enough for three meals for each member of the family for three days.